Dentures are often necessary to provide enough mid face support to restore a more normal facial appearance. 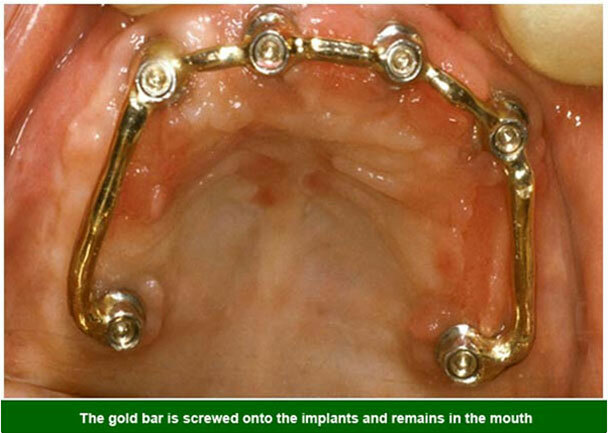 Implants are used to secure a bar onto which a denture is clipped.This helps stabilise a removable denture. Loss of teeth can have a profoundly ageing effect on the facial appearance.When teeth are lost the bone shrinks, especially in the upper jaw. 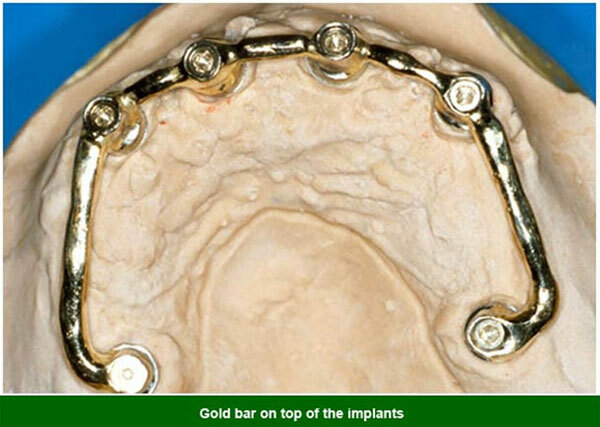 Implants help to hold the replacement teeth and associated gum work in the correct position to help alleviate the problems of the missing teeth. 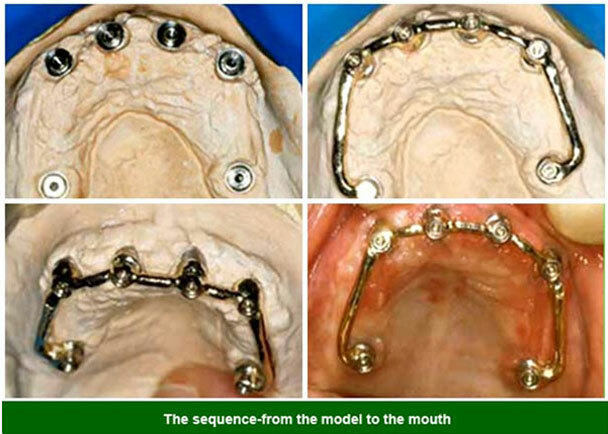 Implant retained dentures are very stable when chewing, when laughing, smiling and kissing. The bars are customised on an individual basis. All patients are assessed initially by Martin G D Kelleher who has over 25 years experience with implants and then by Professor Mark McGurk who is a Consultant in Maxillo-Facial surgery at Guy’s Hospital, London. Mark McGurk has extensive experience in all surgical aspects of implant placement and grafting associated with these treatments. Sally Clarke has been the nurse at the this practice for more than 10 years and has over 14 years experience with assisting with various implant systems.